Keeping this in mind, the article that follows is not intended to be a personal celebration or celebration of the blog (Romans 3:23), but make a list of achievements will serve as encouragement to all those who wish to continue to examine the Bible without conditions. For many people, in fact, examine the Bible is "too hard", "it is just one group of people chosen", you have to have some kind of education or skills, you have to follow "what they write other", you should consult some kind of scholars etc etc . These ideas clash with scriptures as Proverbs 2: 1-6, Matthew 11:25, 26, John 17: 3; 2 Timothy 3:16, 17 and others. One of the fundamental reasons why God could "stop" to understand His Word has to do with the attitude of the person as we saw in Matthew 11:25, 26 (see also Daniel 12:10). Perhaps there may also be other reasons, but other than that nowhere in the Bible it is said that to understand His Word is a privilege reserved for a few. Since Jehovah's Witnesses want to be the Bible to speak and not their own ideas , some may wonder how it is possible to do this. 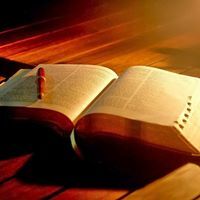 Before seeing the goals achieved, thus, the article will show which method was followed to date to ensure you have really talk about the Bible. What you will learn will highlight the guidelines of proper research and is not to be understood as something perfect and not customizable. The material. What do you need. The Bible (maybe three or four different translations) and Concordance. The Concordance is the publication which has been used in all the articles posted so far. Each aid can be useful but the Concordance is the only truly neutral publication because it "limits" to put the parties together without comment, outside of context and without giving emphasis to one side than the other. On more than seventy items previously posted were used books Insight three or four times (especially for historical references), we looked for an original Greek word with an explanation of the beauty of two times but every time it writes are compared via the Concordance and these comparisons are born articles. H with a Bible and a Concordance? Then you have 90% of the material you need. So grab a pen and paper and think of a subject, any. Following real example of how the articles until now have been developed. As seen in the picture, you take the subject and put aside all the scriptures together with their context. Of course the context is very important and to understand it we must, at times, input entire previous and consecutive chapters. In doing so, speaking of judgment, we might see as "the way of Jehovah" means to do righteousness and judgment, as the "breastplate of judgment" did robe of the High Priest and so on. Writing two or three keywords to all scriptures united by the same person, we have to learn many things on God Almighty even if they have to directly to do with what we were looking for . Let us not forget what we're looking for and why. Maybe we can set aside this information and resume them at another time. It is not excluded that a subject takes us somewhere else but for now we do not lose sight of the goal. We're trying to figure out if death really gates sin and if so you can not go to trial for the sins committed before he died. Going forward we will find Matthew chapters 5 to 23 (part highlighted in yellow), and here we begin to find something strange about current understanding. Matthew 7: 2, for example, says "because with what judgment judge, you will be judged, and the measure with which you measure, it shall be measured to you" and the question that should come to mind is "When? When will we be judged to the extent that we judged? ". The only way to make this statement of the Lord coincide with the official intention is to deduce that we will all be judged in this way before his death but also with this hypothesis things do not add up. Meanwhile, Jehovah does not put on trial the people of the first century (as is with us today) and if he did ... what's the point if then death would all be cleansed from sin and start from scratch ? That 'it s what we have been taught, right? Okay, we're told that Jesus used a hyperbole but we chose the Concordance because of its neutrality! Reading simply the context of Matthew 10, it does not seem that we should read something other than what is written simply. However we put aside even this writing, along with its context, and we score two or three keywords. Continuing in this way will come to light many other details. If the emerging framework goes to "bump" against our understanding, what should we do? Maybe we should "pretend nothing" thinking that is not our business, that there are people chosen specifically for these things, it is better not find out the "Pandora's box" because what we might discover could be very different from what we have been taught? They make an honest examination of conscience those who, rather than questioning their own beliefs, they said they " can not follow the logic of the articles" . If, as mentioned, the picture that emerges seems to bump into one of our doctrine, then we have to go see what this doctrine is based. We all agree that the Bible does not contradict itself, is not it? What, then? It is a contradiction? Just as we have done so far, we look at the context. If we make the effort to read without preconceptions context we will see how Paul speaks of death compared to sin (verse 2) that we all were baptized in the death of Jesus (verse 3), and said that we were indeed buried with him (verse 4). There seems honestly literal language? How many of us have been buried with Christ in baptism? Has anyone killed us when we are baptized? It 'clear that Paul is doing a lot easier than it might seem speech. If we appreciate the solemnity of baptism, we will prove to be dead with reference to sin (ie, not sinning anymore). In fact, since we are baptized we started to live a new life. From other scriptures we understand that it is not possible to "sin no more" but relying redemption and continuing to make every earnest effort, we can have a clear conscience before God. All this talk is not about the dead ones literally but in fact is the example that Paul has to make sense. What, then? We are once again at the head point? Absolutely not, because writing mentions the obvious: the sin leads to death. Comparing each write in their context is really a complete picture of the matter. From dead, of course, there is no longer any sin. If there were no resurrection , no one would answer for their sins. This makes us understand that Jesus was not doing hyperbole when he spoke of Sodom and Gomorrah, the profound reason why we use the term "salary" as if sin is a debt and other interesting details. And 'death to take away sin, or is the blood of Christ? As we have achieved this goal? We had to become experts in ancient greek, we consulted hundreds of ancient manuscripts, asked for advice to various scholars, learned something from other religions or have been around the world? Absolutely not (if we did, we'd be back with more confusion than before). We have only compared the writings in context. To understand the Bible, we used the work of better consultation, the most accurate, the most objective, the most accurate : the Bible. Surely it is challenging but not difficult. Any of us can compare scripture is not it? What will come of it it will show what the Bible says: It is all we really need. However the human being, has a strange emotional need to complicate your life. Really such a simple method can help to reveal the Book of God? This question can only be answered with facts. With that the assumptions made at the beginning in mind , let's see what goals have been achieved and why we can be reasonably confident of being on the right track. Each subject reported below has been treated in older articles. To "make sure of all things" the reader is invited to look for these items and see if they are in harmony with Scripture. 4) The first plagues of Revelation indiscriminately affect God's people as the people of the world just as happened during the plagues of Egypt. 5) There will be a world war that will bring down the king of the south and this harmonizes both Daniel and the last and only power that we see in Revelation and which so far has been erroneously identified as the Anglo-American empire. 7) The anointed did not start to rise again in 1919 but will start to rise again at the sound of the seventh trumpet, shortly after the killing of two witnesses in sackcloth (future event). 8) The war in heaven break out soon after the ringing of the seventh trumpet, and will last about 30 days. These are also the "days shortened for the elect" in the likeness of what happened in the first century. 9) At the end of the war Satan will be thrown on the ground and from that moment can only act for 42 months (1260 days), which is a short period of time. 10) These are the 42 months of the great tribulation period. 11) At the end of the 1260 days of great tribulation will start Armageddon (with the fall of Babylon the Great), which will last 45 days. 12) Before Armageddon God he will lead his people to "Edom" and "Moab" that is, in a free zone where their lives and prepare to cross the Promised Land. The literal repopulation of Israel (after the destruction that has liberated from Babylon the Great) harmonises the scriptures that say that the people of Israel would be rejected but the nation was inhabited from generation to generation as the nation chosen by God to reside His Name. This situation makes us understand what it refers to writing when he says that the king of the north "will be troubled by news from the east and from the north" because it will come to know that God's people survived his fury and now is reaching promised land in fulfillment of Bible prophecy. 13) The War of the Great Day of God Almighty will take place in a relatively small area of the earth but it will be the greatest war in history where they will die the kings of the earth and their armies. 14) The Jerusalem Above is the organizational part of God's people and not heavenly organization made up of faithful spirit creatures and loyal men. This explains how it is possible that Satan tries to "drown her" spewing a river of water behind her. This awareness helps us to understand many basic things such as what is the one people of God on earth, because Christ is called "son of man" and the depth of meaning of Genesis 3:15 prophecy. 14 a ) The Above Jerusalem, towards the end of satanic system, will be led by members of the great crowd and be nourished by God to the end. 15) Armageddon will destroy the wild beast, the false prophet, all those who have the mark of the false prophet, who has opposed true Christians etc. There will be destroyed all people nor all the nations, apart from the dominant power that will end up in the lake of fire, the other kingdoms will be "removed the domain" but an extension of life will be granted for a time and a season. This period refers after Armageddon and until the end of the millennium . And many other things (the original post had a list of 26 important subjects but the article would become long, boring and certainly confusing for those who come to this post for the first time). Article wanted to highlight a simple concept as it is profound. The Bible was also written for you. If you will have the intellectual honesty to get back fully into question, they will come to understand many things. Do not be afraid to find things very different from what we have been taught. Paradoxically, although this process has called into question some doctrines and virtually all the prophecies , has also shown that there is only one people of God on earth and it is this . According to the prophecies of this people it will be disciplined for this reason. Know the prophecies will allow us to not be shocked when these things begin to come true. The prophecy enables us to see beyond the darkness that is going to get even giving us the chance to help others. The prophecy, among other things, says that at one point "knowledge will become abundant." We will be among those who have insight and who will enjoy the blessings future? By our attitude, we decide it even now. The article is not meant to imply that, following such a method, you can not make mistakes. Even you do not want to diminish the importance of Hebrew or Ancient greek but today will be provided with many versions of the Bible that nornalmente you need to compare multiple versions to understand what fits best not with our preconceptions but with the context. The harmony of the Bible, alone, is able to refute all acts speeches to demonstrate unbiblical beliefs. When one starts a topic about scripture without conditions and relates many scriptures to reflect that assumption? It fails in understanding that scripture was framed to give “many” conditions, not just out of convenience. There are only 2 choices for God’s people. That choice is given for each individual to decide who’s on the side of God, and who is not. That’s it! This has nothing to do with the “leaders” of any church to decide for each one of us. Their responsibility is to guide us so that we may gain that wisdom in understanding, that so many have confused, by their negativity toward their leadership, even though that responsibility of “leadership” can be found within scripture, itself. In essence, God’s words are to “obey” the leadership. If this simplest of a task, cannot be accomplished by mere men and their standards? Then it CANNOT be “freely” given to God himself. That’s where the decision comes in. TO learn from the decisions the ancient people, and what their outcome was. No need to explain it, to those with “spiritual maturity”, but, only to those that have become spiritually “weak” with their human desires. You are then nullifying the message of Christ, and that of the apostles. In essence, rendering your outtake of your doctrine, unacceptable to a follower of God through Christ. Brethren, do not be children in your thinking; yet in evil be infants, but in your thinking, be mature. Anyway I understand it's annoying to admit that you're wrong. All the scriptures you have mentioned do not deny these deep truths. You have the Bible and I have the Bible. Each of us has to study the Bible and carefully evaluate what it really teaches. In the end, the speech is very simple. You are correct to suggest, people should understand for themselves, what a “false prophet” has to offer, and freely remove themselves from such a path of destruction. It’s good, how willing you are to lead people into a path of unrighteousness, by your outer lack of bible, understanding. ]18 But what comes out of the mouth proceeds from the heart, and this defiles a person.
] immediately sent Paul and Silas away by night to Berea, and when they arrived they went into the Jewish synagogue. 11 Now these Jews were more noble than those in Thessalonica; they received the word with all eagerness, examining the Scriptures daily to see if these things were so. 12 Many of them therefore believed, with not a few Greek women of high standing as well as men. 13 But when the Jews from Thessalonica learned that the word of God was proclaimed by Paul at Berea also, they came there too, agitating and stirring up the crowds. 14 Then the brothers immediately sent Paul off on his way to the sea, but Silas and Timothy remained there. NOW ASK YOURSELF, ACCORDING TO SCRIPTURE, WHO IS WRONG!!!!! The eager one, or the agitator-[ a person who urges others to protest or rebel](yourself)!!! it is very easy to apply scriptures to others and never to themselves. Try answering the post's merit. Has the post taught to create other religions or divisions? Instead, he taught what the supreme authority is. The Bible. If someone teaches a doctrine that goes against the Bible, then it is a false doctrine. Did I say that this is not the people of God and so you have to abandon it? Try to distinguish an unjustified criticism from a biblical teaching. Did I say that the name of God is not Jehovah? Did I say that Jesus is the part of a Trinity? Did I teach that there is hell of fire? You can not even do a search with the Bible because you have raised some people above the Bible. The ancient inhabitants of Judah were too sure of them and had to wake up a good morning. And I recommend: add other exclamation points otherwise it is unclear. If you want to push me to say "The Governing Body" then say "Then you are an apostate!" I assure you that this is not the point. If, on the other hand, there is someone who is able to enter the subject without taking a political position, let's see what the article is about to be published. The article has highlighted the correct (right, right) method of doing a biblical search. Who has the authority to determine whether a doctrine is correct or wrong? How can we make the Bible, and only the Bible, speak when we need to understand a doctrine or teaching? We have to search the subject in all the scriptures that speak (and also read the context, obviously). To do this, Concordance is very useful (as seen in the picture). By doing this you will find that some doctrines are correct and some are wrong. Those who really love the Bible will respect the Bible. Those who love their religion, more than the Bible, will pretend nothing and find all "justifications" to continue in error. Is the article intended to be a rebellion to religion or to create another religion? Absolutely not because this is the people of God. However, although this is the people of God this does not mean that there are both doctrinal and organizational errors. He who examines the congregations will put things into place (even with severe discipline) so we look forward to him, without creating divisions. But this does not mean that we do not have to study the Bible personally. It does not mean that we do not have to understand what the Bible really teaches (though we find that some things taught are wrong) and does not mean that we do not have to act according to knowledge acquired according to conscience. Studying the Bible is a duty of every Christian. So, for some who understood the article, the encouragement is to study the Bible with the only truly neutral and accurate help: the Bible itself. When the discipline comes (and it will come) no one thinks to say "I could not know. I was so taught in this way" because judgment will be individual on each of us. Each of us has a Bible and has the ability to understand it, asking for help from God. The reaction that someone has been commenting on this article should make us realize that some of us have become idolatrous. Someone has put their own religion above the Word of God. This is one of the reasons (not the only one) for which God will punish his own people. Individually, though, each of us can be protected from calamity. I hope that each of you can evaluate this article carefully and personally ascertain what the will of God is for us. you will surely have noticed that I use the translator (with many errors) because my english is poor. So if I misunderstand a question or the purpose of a question, you will understand the reason. Regarding the meaning of the article, I speak of personal experience (and not presumption). I know very well that with many of my brothers, who have many good qualities, you can not talk about doctrines, you can not challenge an "official truth" because otherwise you are automatically a murmur or apostate. It's not a novelty that we can not recapture a doctrine so we're not talking about science fiction. I have made an article explaining how to do a biblical search and I did not insult or offend anyone. You have started to say that I am an apostate, a deceiver, one who wants to put "confusion", a false prophet, deceptive etc. etc. P.S. But was not I the presumptuous? Are not you that you understand everything? JEHOVAH ISÂ NOTÂ THEÂ JW.ORG,Â JEHOVAHÂ WEÂ FINDÂ ONLYÂ INÂ THEÂ BIBLE,Â HISÂ SPIRITUALÂ WORD !Â ANTIQUEÂ ORÂ CURRENT,Â ITSÂ ALWAYSÂ THEÂ SAME.Â ----Â JesusÂ respectedÂ allÂ peopleÂ whatÂ theyÂ hadÂ toÂ sayÂ -Â heÂ NEVER Â wasÂ judgingÂ likeÂ someÂ membersÂ doingÂ here... Â WE'VEÂ NOÂ RIGHTÂ TOÂ THAT !Â Â We'reÂ allÂ onlyÂ littleÂ peopleÂ onÂ earth....Â OnlyÂ ONEÂ hasÂ toÂ judge,Â thatsÂ ourÂ GODÂ JEHOVAH ?Â Â THANKÂ YOUÂ ALL ! It is sometimes interesting how some sincere witnesses will disagree with the men they follow. "Happy are those conscious of their spiritual need."—Matt. 5:3. ? ? ? "Happy are those conscious of their spiritual need."—Matt. 5:3. “Happy Are Those Conscious of Their Spiritual Need” — ????? (Psalm 29:11) . . ."Jehovah himself will give strength indeed to his people. Jehovah himself will bless his people with peace." WHEN birds wake up in the morning, they often chirp for a while and then fly off in search of food. In the evening, they return to their roosts, chirp a little more, and go to sleep. In certain seasons they mate, lay eggs, and raise their young. Other animals follow a similarly predictable pattern. We humans are different. True, we eat, sleep, and reproduce, but most of us are not content with just those things. We want to know why we are here. We seek meaning in our lives. We also desire a hope for the future. These deeper needs point to a quality that is unique to humankind—spirituality, or the need and capacity for spiritual things. The Bible explains the reason for the spiritual side of man’s nature, saying: “God proceeded to create the man in his image, in God’s image he created him; male and female he created them.” (Genesis 1:27) Our being formed “in God’s image” means that even though we have been tarnished by sin and imperfection, we have the ability to mirror certain qualities of God. (Romans 5:12) For example, we can be creative. We also have a measure of wisdom, a sense of justice, and the ability to show self-sacrificing love for one another. Our spiritual capacity is most clearly demonstrated in our innate desire to worship God. Unless we properly satisfy the need to be in touch with our Creator, we cannot find true and lasting happiness. “Happy are those conscious of their spiritual need,” Jesus said. (Matthew 5:3) We must be careful, however, to satisfy that need with spiritual truth—facts about God, his standards, and his purpose for mankind. Where can we find spiritual truth? In the Bible. The apostle Paul wrote: “All Scripture is inspired of God and beneficial for teaching, for reproving, for setting things straight.” (2 Timothy 3:16) Paul’s words harmonize with those of Jesus, who said in prayer to God: “Your word is truth.” Today, we know that Word as the Holy Bible, and we are wise to check that our beliefs and standards measure up to it.—John 17:17. By comparing our beliefs with God’s Word, we imitate the people of ancient Beroea, who made sure that Paul’s teachings harmonized with the Scriptures. Rather than criticize the Beroeans, Luke commended them for their attitude. They “received the word with the greatest eagerness of mind,” he wrote, “carefully examining the Scriptures daily as to whether these things were so.” (Acts 17:11) In view of the contradictory religious and moral teachings that abound today, it is important that we imitate the example of the noble-minded Beroeans. Jesus’ words remind us of those of his heavenly Father, who said to the ancient Israelites: “I, Jehovah, am your God, the One teaching you to benefit yourself, the One causing you to tread in the way in which you should walk. O if only you would actually pay attention to my commandments! Then your peace would become just like a river, and your righteousness like the waves of the sea.” (Isaiah 48:17, 18) All who love goodness and righteousness would surely be moved by such a warm appeal!